Once you’ve tasted this easy, quick marinara sauce, you may find that you’ve bought your last jar of store-bought sauce. The simplicity of this sauce is what makes it so special, and the fact that you can make it perfectly with canned tomatoes is the icing on the cake. 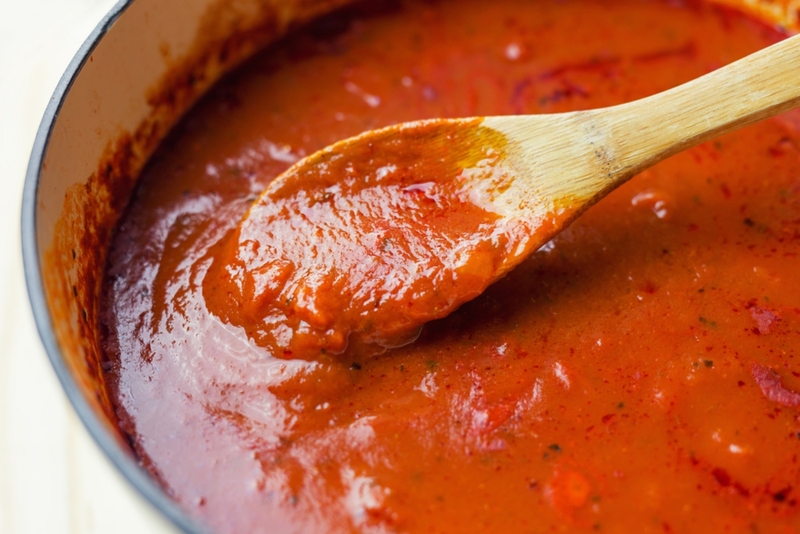 With a couple cans of tomatoes on hand, you’ll be able to whip up a batch of this sauce at a moment’s notice, and you can double or triple the recipe as needed to feed a hungry crowd. Trust us, it may take a bit longer than just operating the can opener (but not too much), but it’s totally worth it! Pour tomatoes into a bowl, and crush them with your hands to release the juices. Heat olive oil in a large pan or skillet over medium-high heat. Cook onion until softened and translucent, 8-10 minutes. During the last 1-2 minutes of cooking, add garlic and cook, stirring frequently, until fragrant. Add tomatoes to saucepan, then stir in red pepper flakes, oregano and salt. Lay sprig of basil on top of tomatoes, and let it wilt as sauce cooks. Simmer for 15 minutes. Discard basil sprig, and serve over cooked pasta.